A few weeks ago I found myself on another transatlantic flight. I took the opportunity to watch a documentary that I had heard a bit about - Jodorowsky's Dune. 5/5 stars. Highly recommended. If you haven't seen it, go see it. The first-hand stories about the the making of the "greatest movie that never was" were completely fascinating. I could not help but admire the creative vision, charisma, and energy of Alejandro Jodorowsky as seen through his interviews. The dude is nuts. One of Chris Foss's many awesome/insane spaceship designs. The ego and ambition he exhibited in pursuing the creation of his version of Frank Herbert's seminal work was enormous, and his ability to recruit other insanely creative people was awe-inspiring (if not a bit uncomfortably cult-like): Dan O'Bannon for special effects; Chris Foss, Mœbius, & H.R. Giger for design; Pink Floyd for music; and Orson Welles, David Carradine, Mick Jagger, and Salvador Dali for various roles. Just to hear his stories of how he found and recruited these other creative giants makes the documentary worth watching. Maybe I fell under Jodorowsky's spell, but I didn't realize the effect this group of creatives had on the industry. It was eye-opening to see their direct influence in later movies like Alien, Star Wars, Flash Gordon, and many others. Take a look at some of the concept art that's floating around. I can actually understand why the movie was never made, but I can't help but think that the movie could not have lived up to its grand vision. This may be yet another example where the best thing that could have happened to it was to not get made. If it did get through the Hollywood production machine, we could easily be talking about it belonging in the same list as Waterworld, Cleopatra, and Battlefield Earth. I kind of feel the same way about Project: Courier, the concept product that was leaked when I was still working in Microsoft's Pioneer Studios. I didn't work directly on Courier but my colleagues sitting a few feet away were the ones responsible for initiating and driving it, and our small team was intimately aware of the small number of projects we were working on at that time. I think there was a very small chance that the product could have lived up to its promise; due to the video leak, it will live on in our collective memories as an example of one of the greatest Microsoft products that never was. I've had the opportunity to work on quite a few concepts that never saw the light of day as well, and in many ways these "perfect" ideas will always feel painful. They promised so much potential but never were given the chance to actually succeed or fail on their own merits. It's always a good thing to remember that ideas are easy, execution is hard. I believe Jodorowsky's Dune is a film that captures the potential of someone's fantastic vision, this idea of a perfect film, which would have been nigh impossible to execute. Watching this film made me realize that I haven't read the book in over 20 years. I really liked it, but I don't remember many details. So just last week I went and downloaded it onto my Kindle and started rereading it. After a few days I'm about 80% of the way through and expect to finish it in the next day or so. It really is a science-fiction universe built around an LSD hallucination. I did not realize this when I read it in high school; I was rather naive about these things back then and I didn't have enough cultural information or references to realize it. Dune, which came out in 1965, really is a product of its time. Frank Herbert's imagination and vision, as seen in this universe he created, is a wonder to behold. I am thoroughly enjoying the book and am glad that I'm rereading it as an adult. The complexities of the plot, the characters, the socio-eco-political culture, and anthropological constructs could not have been appreciated by my high-school self. 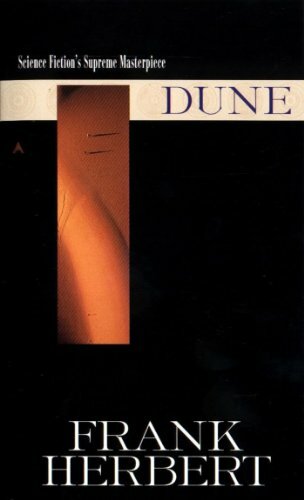 If you haven't read the book and appreciate good, smart, complex science-fiction, I highly recommend Frank Herbert's Dune.